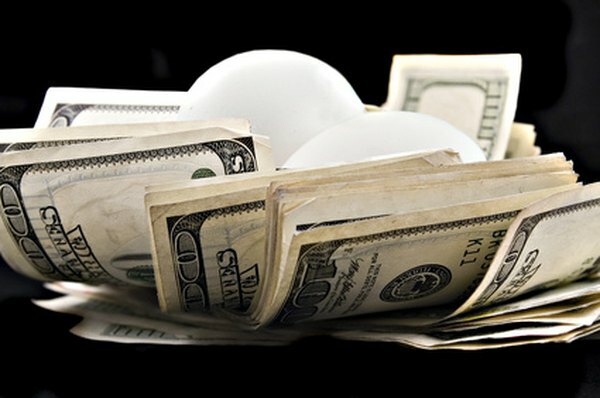 There are many types of investments that can help you build your nest egg. 1. What Is an IRA CD? Savings accounts, certificates of deposit, bonds and individual retirement accounts represent some of the numerous ways you can invest your money. Even within one category of investments there can be many different types of accounts, each possessing different risk and return characteristics. Your personal investment goals and tolerance for risk can help you choose the best investments for your financial situation. A savings account is one of the most conservative liquid investments you can make. A savings account is a federally insured (up to $250,000), low-risk account that provides you immediate access to your money whenever you would like it. As a result, a savings account usually doesn't pay much interest. Some savings accounts pay no interest at all. A money market account is a type of savings account that usually carries a few more restrictions than a basic savings account. For example, your financial institution may require you to maintain a certain minimum balance in a money market account. In exchange, money market accounts typically pay a higher interest rate than straight savings accounts. A CD is an investment issued by a bank or thrift institution that carries federal insurance up to $250,000. A CD requires you to deposit your money for a specified time, with three- and six-month periods being common. Since you agree to tie up your money for a longer period of time, CDs generally pay higher interest rates than savings and money market accounts. However, if you withdraw your money before your investment period is up, you have to forfeit some or all of your interest. CDs come in many types, including long-term CDs, variable-rate CDs and CDs with special features, such as an interest rate that increases over time. A bond is a loan between investors and borrowers. The borrower promises to return the investor's capital, along with regular interest payments. Corporations and federal and state government entities are common issuers of bonds to investors. Bonds range widely in type. You can buy bonds with short-, intermediate- or long-term maturities. Corporate bonds are typically taxable, while municipal bonds, issued by cities and local governments, are generally tax-free at the federal level, and sometimes at the state level. Some bonds have lower credit ratings and compensate investors for the higher risk of default with higher interest payments. Other bonds, such as U.S. Treasury bonds, are guaranteed by the federal government. Treasury bonds are free from state income tax, but are federally taxable. Unlike savings accounts, CDs and bonds, IRAs are not actual investments themselves, but rather vehicles that hold investments within them. With most IRAs, you can purchase almost any type of investment, including stocks, bonds, mutual funds or even CDs. You can open an IRA at a financial services firm, such as a brokerage or a bank. Once you complete the paperwork and deposit money within the IRA, you can purchase your investments. IRAs offer investors various tax advantages depending on the type of IRA. Traditional IRAs, which were the first type of IRA introduced, offer qualifying investors a tax deduction on contributions and the tax-deferral of investment gains until distribution from the account. Roth IRAs carry no tax deduction on contributions, but generally provide tax-free distributions. Other types of IRAs, such as SEP and SIMPLE IRAs, are business retirement plans that share the same tax benefits as traditional IRAs. Ally Bank: What's a Savings Account? Who Insures a Certificate of Deposit Issued by a Bank?